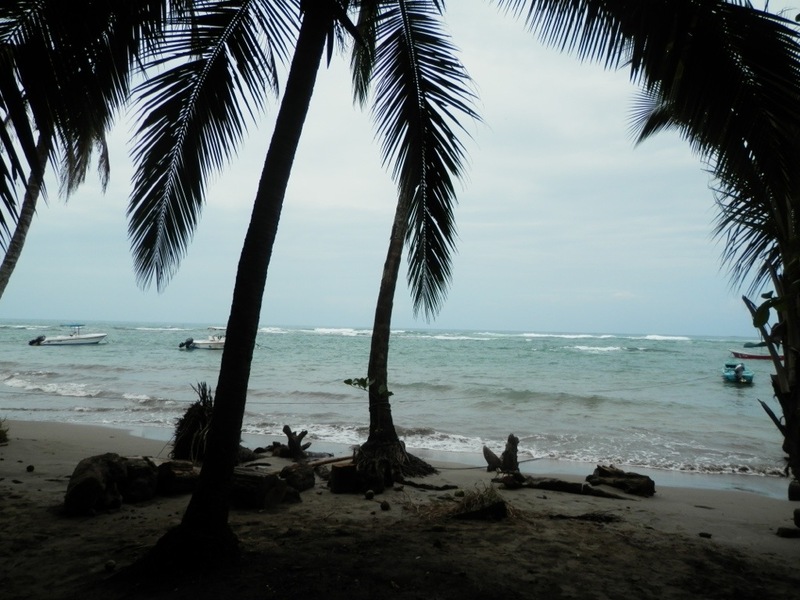 Highlights: The Beach at Puerto Viejo, Mountains during bus ride. An early morning start for the first full day of this tour as we had to be at reception at 5.30 am for a taxi to the bus station. Everyone managed to be on time so that is a good start. Our Tour Leader Liza organised allocated tickets the night before which was good foresight as people had to stand up on this 4 hour bus ride and that would not have been much fun. The hotel overlooks one of the local beaches, this one has dark sand due to underwater volcanoes. We are located on the Caribbean Sea so sea food is back on the menu. Liza reminded us not to drink to local water, anywhere else in Costa Rica is fine but not here. An orientation walk to the town and lunch was the major activity for the day after arrival. A few of us also went out to celebrate Dotty’s birthday for dinner and returned to the hotel bar for a few drinks. The weather is more humid here and I understand that it will only get worse from this point onwards, a fact I should have remembered when I changed into jeans for the dinner. That is the last time I suspect I’ll wear them in Central America! This entry was posted in World Trip 2012 and tagged CostaRica, PanamaExperience. Bookmark the permalink.